ACSG Washington, DC Subcontractor to Build Access Database for tracking contract information for their Military client: Air Force Bases in Washington DC. ACSG is a Federal Prime Vendor and they went after a military contract that desired Access databases to manage contracts for the military bases in DC. This Access database we developed was identical but rolled out separately to manage the contracts that each Air Force base currently had in existence. URS Corporation Jacksonville, North Carolina URS, a Fortune 500 Consulting Firm, contacted us to build an Access database for their client: United States Marine Corps: Camp Lejeune. This Access Database tracks hunting on the Camp grounds through: Hunter Information Screen, License Screen, Violation Screen, and a Rank Maintenance screen. A Record of Sales Report can also be generated. Camp LeJeune is in North Carolina and is a Department of Defense, Military, Marine Corps URS is a prime vendor to the Federal Government and the Military Branches. This Access database helped this US Marine Corps base successfuly manage the land use of the base. Naval Laboratory Waldorf, Maryland The Naval Research Laboratory in Waldorf, MD contacted us to build an inventory database. This Access Database handles the entire process of purchasing and inventorying all items on the base including all test equipment used at the Naval Research Laboratory. We all use hand scanner so complete physical inventories on base that stores/forwards information to the Access Database. API Services Richmond, VA Precision measurement and tool calibration for manufacturing clients, we built an Access database for API Sensor that tracks associates timesheets and expenses for management reporting and reimbursement/payroll. 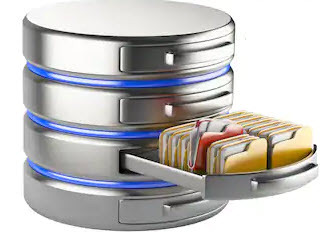 This application connects to SQL Server which is hosted on Data Control's Web Server. This is a backoffice application that runs the expense side of a company with geographically dispersed employees. They track their billable time and expenses, assigning both to projects/clients.